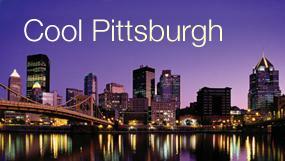 I chose Pitt because of the very strong MVM program with many well-known faculty members. Currently, Dr. Kuhrt is a Research Fellow at the Maine Medical Center Research Institute in Scarborough, Maine. 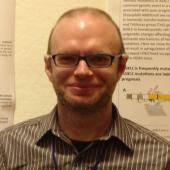 He studies erythropoietin mediated red blood cell progenitor differentiation in the context of anemic stress. David Kuhrt, Ruth Asch, Ed Jachimowicz, Arvind Dev, and Don Wojchowski. "EPO-Supported Bone Marrow Stress Erythropoiesis Requires Trib3 Pseudokinase." Keystone meeting: Steamboat Springs, CO, January 2013. David M. Kuhrt, Seth A. Faith, Amanda Leone, Mukta Rohankhedkar, Louis Picker, Donald L. Sodora, and Kelly Stefano Cole. "Phenotypic Purturbation of the B Cell Compartment During Acute Simian Immunodeficiency Virus Infection." Keystone meeting: HIV Pathogenesis, Banff, British Columbia, Canada, March 2008. Meet the new MVM Program Director, Dr. Fred Homa!